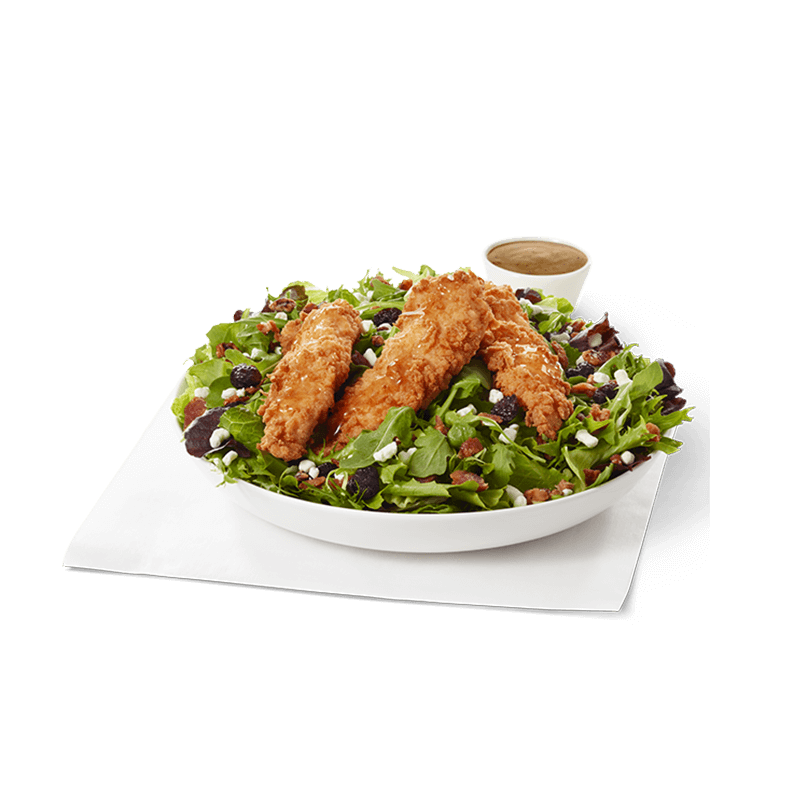 Three of our tender Chick-n-Strips™ served on a bed of Arugula and mixed greens topped with feta and goat cheese, crumbled bacon and dried cherries. Made fresh daily. Served with Salted Caramel Pecans, a honey packet to drizzle over the top, and Honey Peppercorn Vinaigrette dressing (or guest’s choice of dressing).